Published by jalbertini on June 11th, 2018 in Hawaii Independence, Military, Pohakuloa, Public Events, Radiation, Social Justice, Take Action!. Please help pass the word. 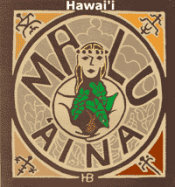 Mahalo and solidarity. The meeting is in the Youth Lounge off the mauka side parking lot opposite the UHH science & technology (glass) bldg.